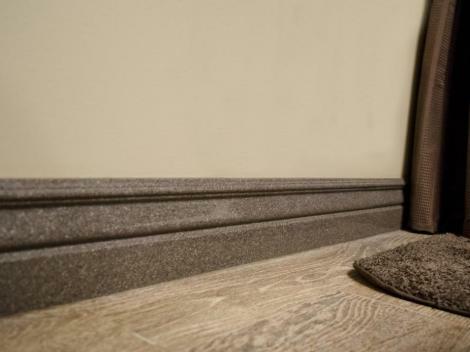 Our cultured granite products create the exquisite look of quarried granite with the technological benefits and durability of cultured marble. 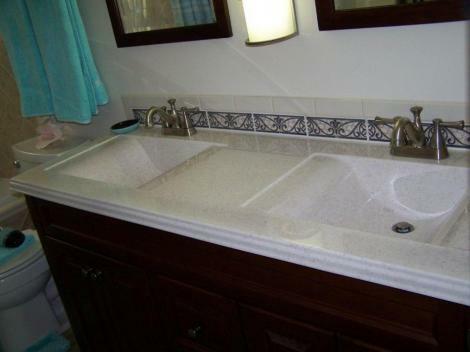 It is one the most cost-efficient materials used for bathroom countertops and vanity tops. 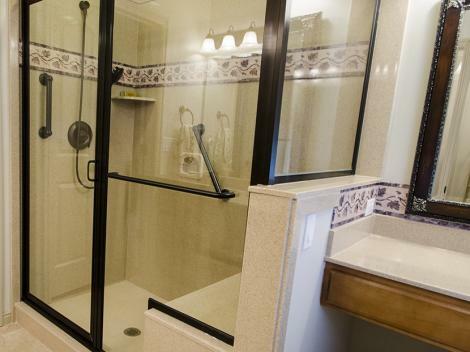 Sand and Swirl, Inc. makes cultured granite that is high in quality and has a low HAP ISO clear coat gel that offers the same wear and durability as cultured marble. 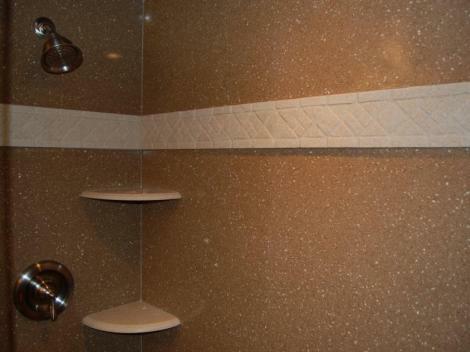 The material is ideal for showers, tub surrounds as well as bowls and vanities. Increase the beauty of your bathroom counter top by including one of our unique bowl styles. 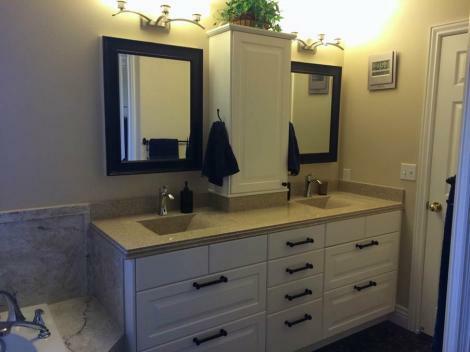 These are seamlessly integrated into the vanity top for a clean, elegant look. 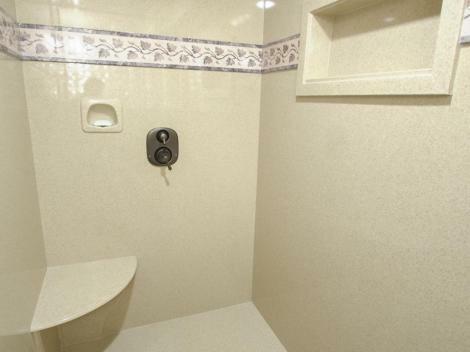 We can accommodate a variety of non-integrated sink styles for a unique look all your own. 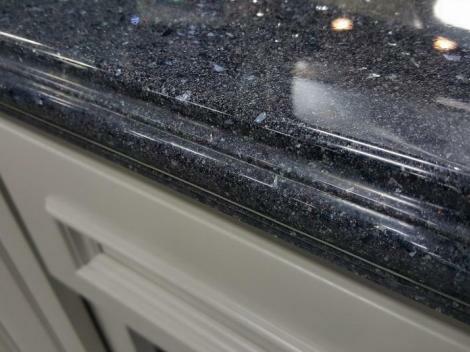 Cultured granite vanity countertops have a seamless back splash option for easy cleaning. 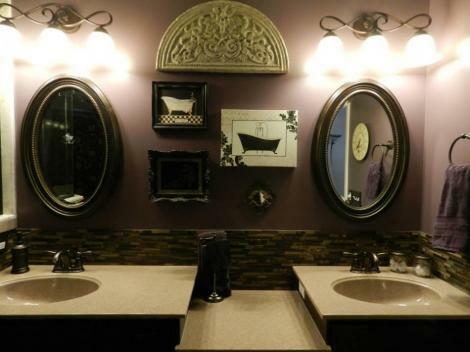 It also comes with a variety of bowls to choose from. Also available is the Regal Edge, Colonial or Bull-Nose edge options. 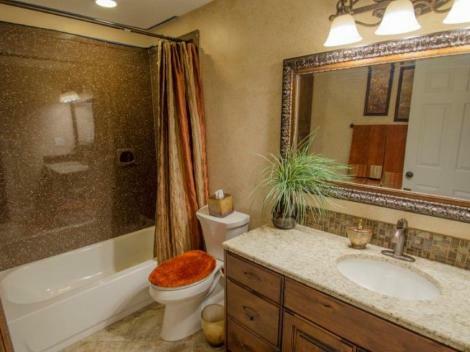 Improve the finish of your bathroom with cultured granite counter tops, vanity tops, and custom bowls. Visit our showroom for samples.